The human rights organization Committee Against Torture is to begin work again in Grozny in the next few days. Its new office in the capital of Chechnya will be in the apartment where Natalya Estermirova, a former staff member of Memorial Human Rights Centre, lived. 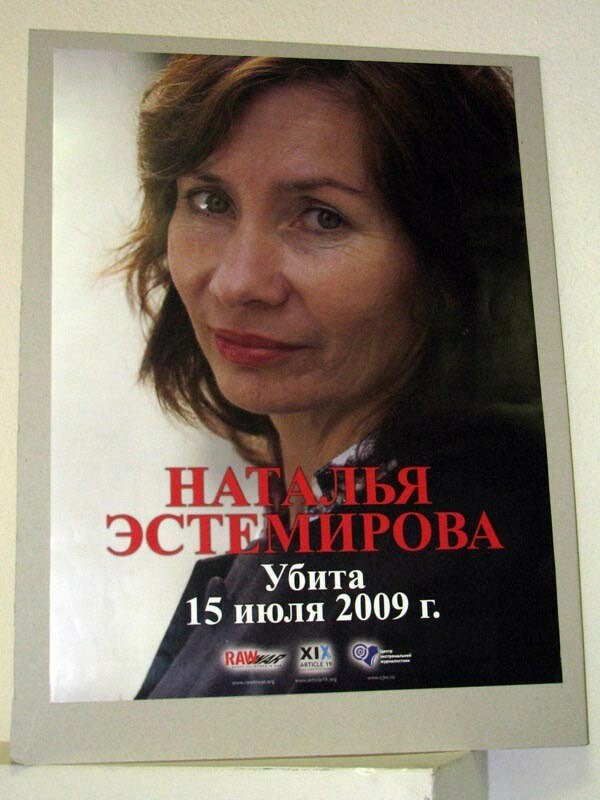 Natalya Estemirova was abducted and killed in 2009 by ‘unidentified criminals’. As Mediazona reports, citing Interfax, Committee Against Torture has been invited to use the apartment by Natalya Estemirova’s daughter. "Our office is moving to a new location in Grozny. This is the apartment where Natalya Estemirova lived. Natalya’s daughter, who is now living in Europe, made the suggestion to us,” said Igor Kalyapin, head of the Committee Against Torture and member of the Presidential Human Rights Committee. He explained that the small apartment consists of just two rooms, but the lawyers will be able to work there and will begin to do so very soon. The former Grozny office of the human rights defenders from the Committee Against Torture was ransacked on 3 June 2015, when it was attacked by a crowd armed with crowbars and hammers. The human rights defenders were forced to flee through a window. Police made no attempt to stop the attackers, and the head of Chechnya even stated that the human rights defenders had, he alleged, provoked the attack.